In this article we will be performing an installation of OwnCloud directly from the official OwnCloud package. OwnCloud is a suite of client-server software to provide easy file sharing. The operating system to be used will be RHEL 8 server with MariaDB, PHP and Apache web-server. 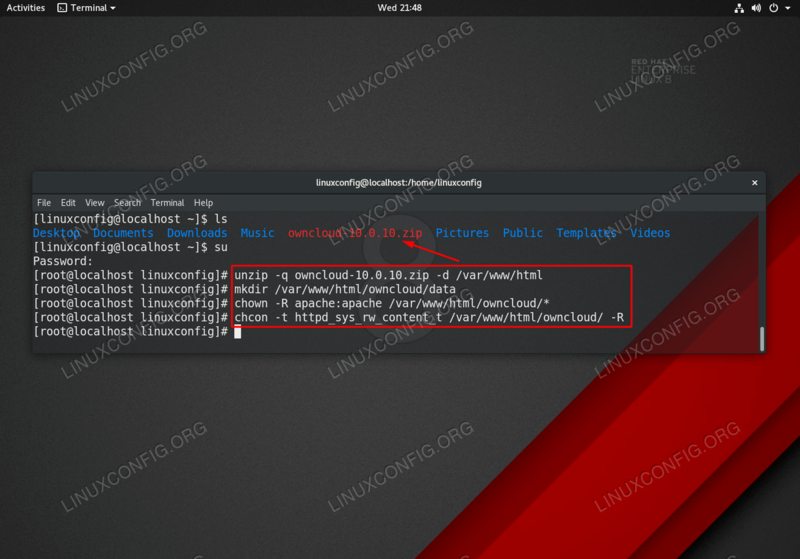 Install LAMP ( Linux, Apache, MariaDB and PHP ) server. 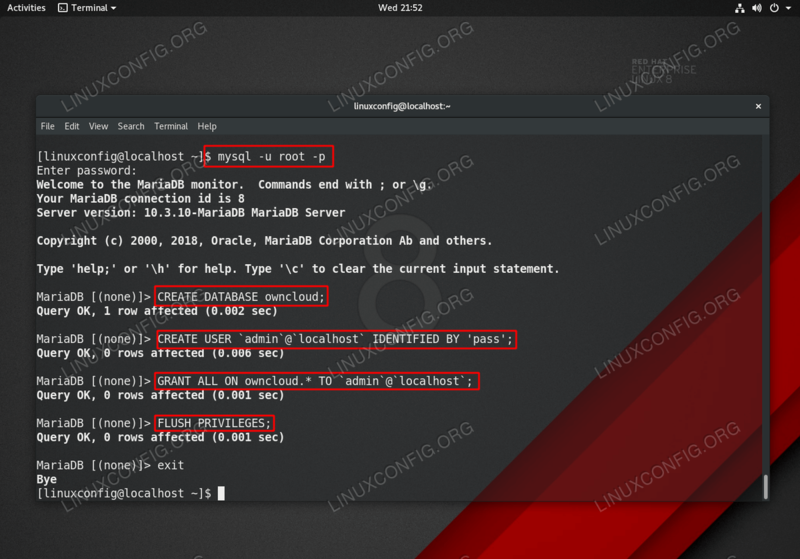 Before you continue please follow our instructions on how to setup basic LAMP server on RHEL 8. Once ready move to the next step. Install all required OwnCloud prerequisites. 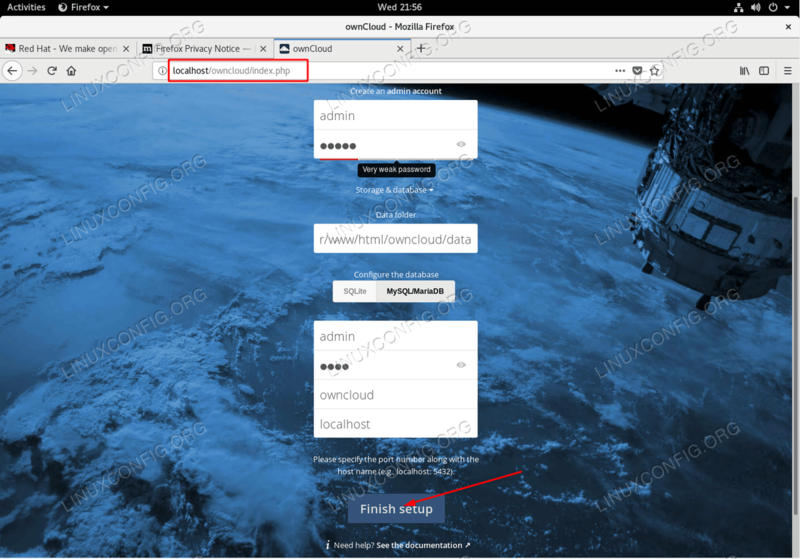 Create MariaDB database to be used with OwnCloud. Start OwnCloud wizard and perform a final installation. 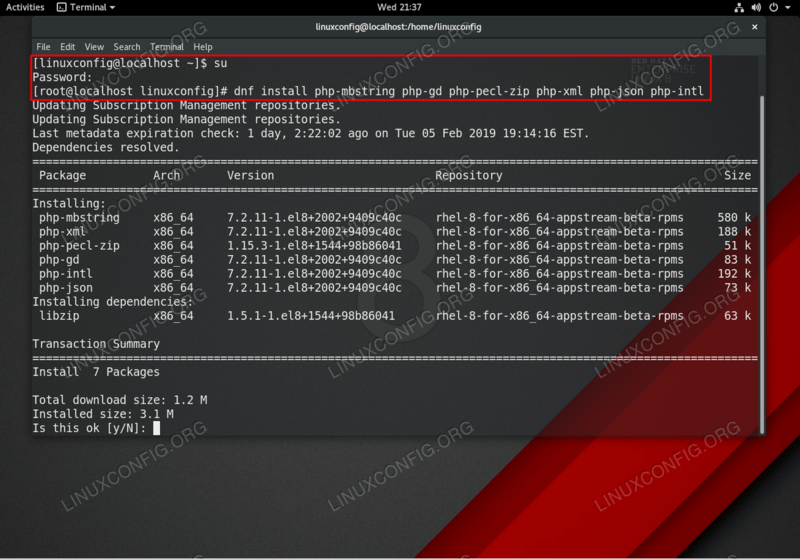 OwnCloud wizard installation form on RHEL 8 Linux server. Once ready click on Finish setup button. In case you see the below error message make sure that you have correctly installed all OwnCloud prerequisites as per Step 2. Use the # php -m | grep -i PHP MODULE NAME command to list if the required PHP module is available. Your installation of OwnCloud should be now ready. Optionally install additional OwnCloud recommended PHP modules or secure your installation with mod_ssl.